New attractive price on this gorgeous remodeled Ventus model with $170K+ in upgrades! Upon entering you will fall in love with the gorgeous tile flooring, open great room and gourmet chef’s kitchen. 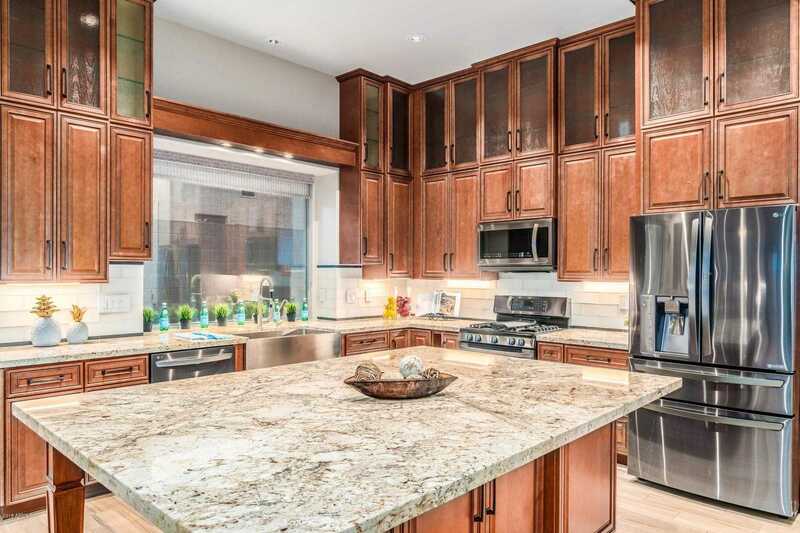 Featuring all new soft close cabinets/ lighting, granite counter tops/stylish back splash, an over sized middle island, 2 pantries, new appliances and a farm sink. The backyard features a sparkling fire pit, mountain view and a long covered patio for you to enjoy. Amazing opportunity to live the active luxury lifestyle in this fabulous Del Webb subdivision of Terravita. Voted Best Master Planned Community and Best Private Golf Club by Ranking Arizona! The health/fitness center has golf, tennis, a heated pool, art, walking/biking trails and a sense of community. Start living the lifestyle! Directions: At the corner of Scottsdale Road and Terravita Way go West to the Main Guarded Gate. When you enter go right at the first stop sign and then left onto Shooting Star Way. House will be on the right. Approximate size: 9350.00 sq. ft. Please, send me more information on this property: MLS# 5856665 – $737,000 – 7042 E Shooting Star Way, Scottsdale, AZ 85266. I would like to schedule a private showing for this property: MLS# 5856665 – $737,000 – 7042 E Shooting Star Way, Scottsdale, AZ 85266.